The digital age has altered the ways of interaction between the brands and its consumers. In today's competition-driven corporate world, it has almost become a mandate to invest in your company's branding. Branding creates an image for your company, it gives a voice to your brand, and it builds a smooth association between you and your customers. Crux Creative Solutions Pvt Ltd is a 360 Creative and Branding agency in Delhi NCR. We offer brand identity creation services in India and abroad with comprehensive digital solutions covering Media buying, Social Media Strategy, Organic Searches, Paid Searches, Website development, Website designing and Creative Designing Services. Most of the efforts usually put into branding are nothing but beating around the bush. On the contrary, we help you craft an exclusive persona for your brand. With a consistent and robust strategy, we let your brand tell an absorbing story that keeps consumers perpetually engaged. Being one of the best branding agency in Gurgaon, we own creative epitomes which enable us to give a new life to a brand. Merely putting efforts don't exert great outcomes but putting the efforts in the right direction does. Finding and focusing on the target audience makes for the primary and the most significant part of our brand identity creation strategy. We let your brand exhibit sentiments and logic that appeal and charm your target audience. Being a leading branding agency in India, we hold an adept hand over a gamut of technologies and resources. We help our client's brand maximize their reach by utilizing the benefits of new technologies, social media tools, mobile platforms and website equipment. Having worked with myriad clients in varied industries, we possess a profound knowledge of on-going trends and style of the industry. And often our acquaintance with the know-how of one industry helps in strategizing work for the other industry. Whether you are a small outfit or a company giant, we put your money to result-bearing corporate branding. We prioritize your needs and make a strategy that brings maximum impact. It would be quite irrelevant to spend money on any conventional method when some novel idea can fetch enhanced results. Hence, we lay stress on understanding what will yield improved effects and advice our clients to spend money in that direction so that the money is spent well. 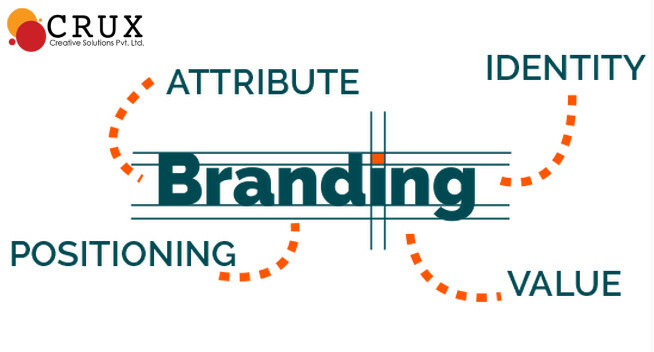 We plan the brand identity creation in a way to bring maximum ROI.